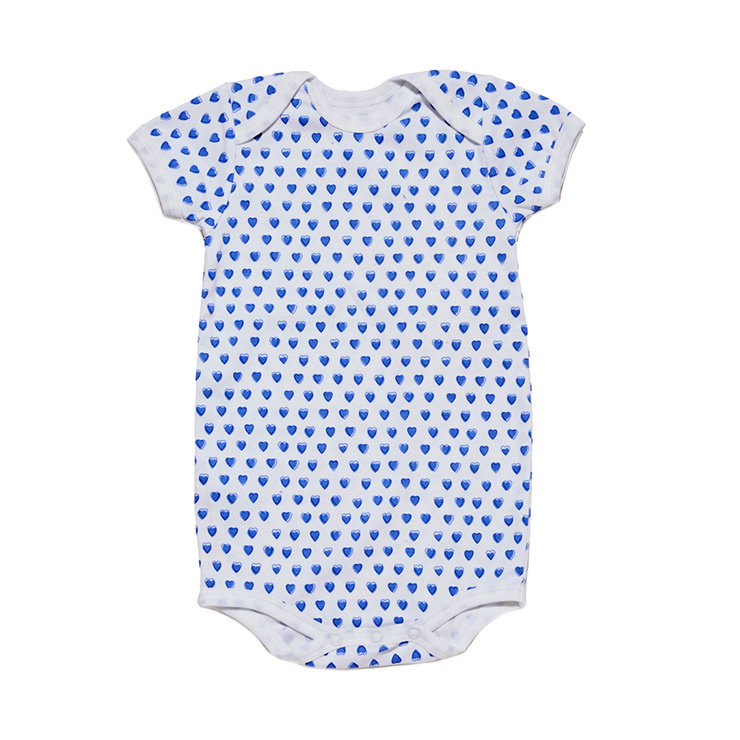 Roberta Roller Rabbit Hearts Short Sleeve Onesie is cuteness at its finest. Inspired by a scrap of found fabric in Jaipur, India, this delightful collection features colorful, hand block prints. Wrap your bundle of joy in quality and comfort with this darling onesie. An essential daily wear item, the onesie is super soft and has a snug fit. Perfect worn alone or under other baby wear. The sweet heart design comes in either blue or pink. Dress baby in this cute and comfy onesie on warm days. Layer under clothing for cooler days or use as a base under sleepers. Comes in two adorable colors and three sizes. Made of 100% Pima Cotton for easy care.